A launch pad test of a Soyuz-2.1a booster rocket at Vostochny Cosmodrome, Amur Region, March 21, 2016. 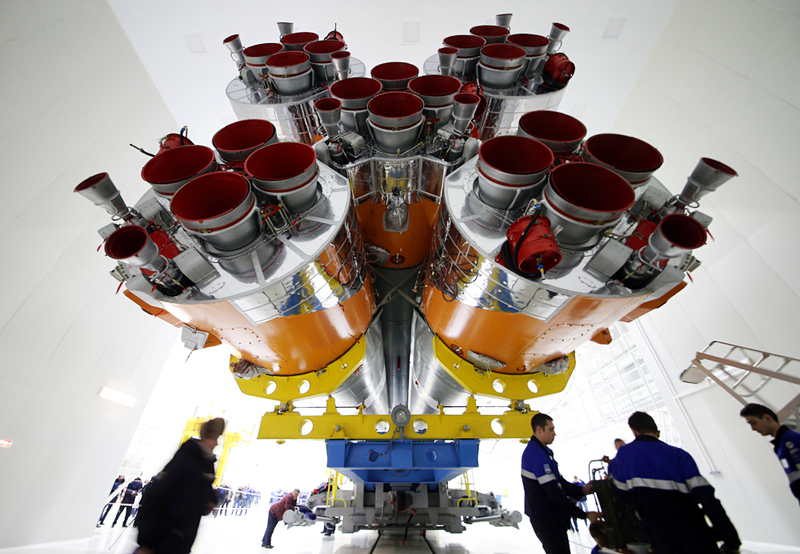 The inaugural launch from the Vostochny cosmodrome will take place in late April, Roscosmos state corporation head Igor Komarov told reporters on March 30. "Concerning the date of the first launch, we are sure that it will happen in late April, as we have said earlier. This is proven by the successful 'dry rollout', the beginning of the launch pad tests and the practical end of tests in the technical complex," Komarov said. The spacecraft are being prepared on schedule, he said. "We are slightly ahead of schedule in the Lomonosov project, and preparations are being made for the upper stage and the launch vehicle," the head of the state corporation said. The outcomes of all tests and the 'dry rollout' are being analyzed. A state commission will converge this week to draw up a work plan and to determine the date of the inaugural launch, Komarov said.